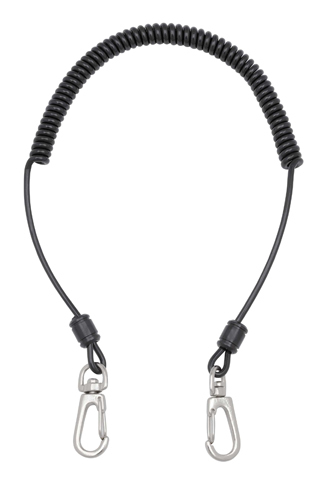 Keep pliers and other key fishing tools exactly where you need them with this guide-approved, tangle-resistant utility leash. Built from machined aluminum with type II anodized hardware. Details include nylon reinforced PU coil leash, swivel clip releases and lazer etching. Made in America. Size: Adjustable: 13” x 3/8"